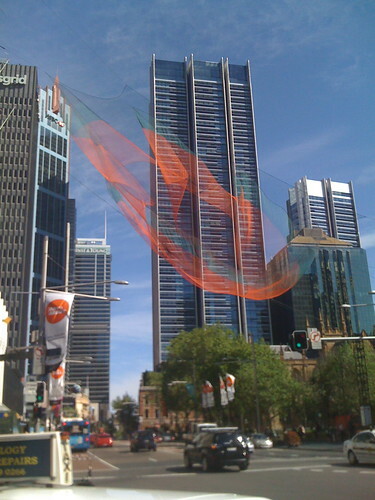 Strung across George Street, between Sydney Town Hall and Woolworths, is a colourful green and orange net. What do you suppose they are trying to catch? This entry was posted in Photos and tagged artandabout, photo, Sydney. Bookmark the permalink.